In many ways, our discussion of dividend policy parallels our discussion of capital structure: We presented the relevant theories and issues, and we listed some additional factors that influence dividend policy, but we did not come up with any hard-and-fast guidelines that managers can follow. You should recognize that dividend policy decisions are exercises in informed judgment, not decisions that can be based on a precise mathematical model. 1. In general, managers do not want to issue new common stock. First, new common stock involves issuance costs—commissions, fees, and so on—and those costs can be avoided by using retained earnings to finance equity needs. Second, as we discussed in Chapter 13, asymmetric information causes investors to view new common stock issues as negative signals and thus lowers expectations regarding the firm's future prospects. 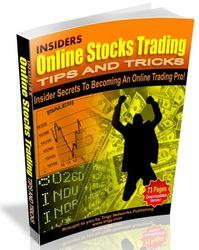 The end result is that the announcement of a new stock issue usually leads to a decrease in the stock price. Considering the total costs involved, including both issuance and asymmetric information costs, managers prefer to use retained earnings as the primary source of new equity. 2. Dividend changes provide signals about managers' beliefs as to their firms' future prospects. Thus, dividend reductions generally have a significant negative effect on a firm's stock price. Since managers recognize this, they try to set dollar dividends low enough so that there is only a remote chance that the dividend will have to be reduced in the future. The effects of asymmetric information suggest that, to the extent possible, managers should avoid both new common stock sales and dividend cuts, because both actions tend to lower stock prices. Thus, in setting dividend policy, managers should begin by considering the firm's future investment opportunities relative to its projected internal sources of funds. The target capital structure also plays a part, but because the optimal capital structure is a range, firms can vary their actual capital structures somewhat from year to year. Since it is best to avoid issuing new common stock, the target long-term payout ratio should be designed to permit the firm to meet all of its equity capital requirements with retained earnings. In effect, managers should use the residual dividend model to set dividends, but in a long-term framework. Finally, the current dollar dividend should be set so that there is an extremely low probability that the dividend, once set, will ever have to be lowered or omitted. Of course, the dividend decision is made during the planning process, so there is uncertainty about future investment opportunities and operating cash flows. Thus, the actual payout ratio in any year will probably be above or below the firm's long-range target. However, the dollar dividend should be maintained, or increased as planned, unless the firm's financial condition deteriorates to the point where the planned policy simply cannot be maintained. A steady or increasing stream of dividends over the long run signals that the firm's financial condition is under control. Further, investor uncertainty is decreased by stable dividends, so a steady dividend stream reduces the negative effect of a new stock issue, should one become absolutely necessary. In general, firms with superior investment opportunities should set lower payouts, hence retain more earnings, than firms with poor investment opportunities. The degree of uncertainty also influences the decision. If there is a great deal of uncertainty regarding the forecasts of free cash flows, which are defined here as the firm's operating cash flows minus mandatory equity investments, then it is best to be conservative and to set a lower current dollar dividend. Also, firms with postponable investment opportunities can afford to set a higher dollar dividend, because in times of stress investments can be postponed for a year or two, thus increasing the cash available for dividends. Finally, firms whose cost of capital is largely unaffected by changes in the debt ratio can also afford to set a higher payout ratio, because they can, in times of stress, more easily issue additional debt to maintain the capital budgeting program without having to cut dividends or issue stock. 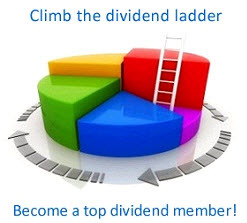 Firms have only one opportunity to set the dividend payment from scratch. Therefore, today's dividend decisions are constrained by policies that were set in the past, hence setting a policy for the next five years necessarily begins with a review of the current situation. Although we have outlined a rational process for managers to use when considering their firms' dividend policies, dividend policy still remains one of the most judgmental decisions managers must make. For this reason, dividend policy is always set by the board of directors—the financial staff analyzes the situation and makes a recommendation, but the board makes the final decision. 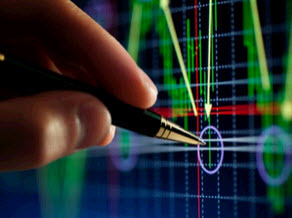 Describe the dividend policy decision process. Be sure to discuss all the factors Question t'lat 'n^'uence t'le decision.